For the last three months, MSc Global Health student Carley Granger has been living in the small coastal town of Tønsberg, just south of Oslo in Norway. The experience, which she calls a “once-in-a-lifetime opportunity,” has been made possible thanks to McMaster’s partnership with the University of South-Eastern Norway (USN). The two institutions teamed up in 2015 to tackle the effects of global issues, such as climate change, on the health of Indigenous communities living in Arctic regions, and to create opportunities for student and faculty exchanges. For Granger, the exchange with USN has opened her eyes to the similar global health threats facing Indigenous people in Canada and Norway. Both countries are now working to address health disparities facing marginalized communities by prioritizing the need for culturally competent health care and targeted services, but there is still work to be done. “While Canada has a longer history of establishing policy that celebrates multiculturalism, Norway is more recent in this endeavour and the challenge involves balancing integration policies that recognize the unique needs of migrants, refugees and the Indigenous Samí people, with the country’s deeply-rooted culture of egalitarianism,” says Granger. At the same time, she says, we can learn from Norway and its well-established welfare state. Prior to joining the Global Health program, Granger completed a BSc in Nursing and worked for over six years as a registered nurse. Her first introduction to global health was through an eight-month placement as a community health volunteer with Cuso International in Cameroon, where she partnered with local NGOs to secure grants and helped to plan, implement and monitor community health projects. “I recognized that I needed to better understand the factors leading to health and social inequities and the associated challenges that exist between and within nations,” she explains. Now, as she nears the end of her exchange in Norway, she feels that she has gained a deeper understanding of these factors and challenges and, more importantly, what to do about them. “The Norway semester has reinforced the critical importance of health promotion activities in improving the health and well-being of Indigenous people and migrants, as well as an intersectoral approach to public health that considers its social determinants,” she says. Granger is currently completing the final field-work module in the semester, which provides real-world experience in the global health field, performing community mapping assessments. After learning about the integration challenges of migrant populations, she’s had the opportunity to put theory into practice and complete a short-term community placement at a migrant centre in Oslo. Looking to the future, Granger hopes to work in the area of health promotion and education. “I want to play a role in developing a culture of integration and inclusion for minorities in Canada, at the policy level and within health care services, with a specific focus on maternal health and newborn/child health and development,” she says. With this exchange under her belt, she says she will feel better equipped to meet that goal. 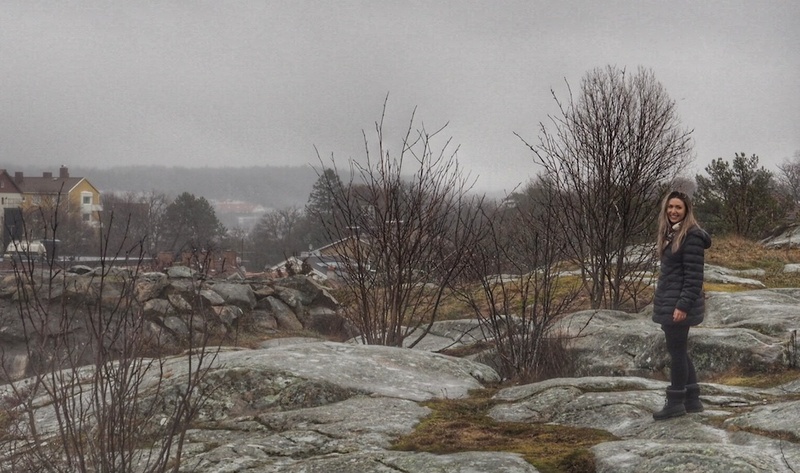 For the last three months, <a href="https://globalhealth.mcmaster.ca/program-overview" target="_blank" rel="noopener">MSc Global Health</a> student Carley Granger has been living in the small coastal town of Tønsberg, just south of Oslo in Norway. The experience, which she calls a “once-in-a-lifetime opportunity,” has been made possible thanks to McMaster’s partnership with the <a href="https://www.usn.no/english/" target="_blank" rel="noopener">University of South-Eastern Norway</a> (USN). The two institutions teamed up in 2015 to tackle the effects of global issues, such as climate change, on the health of Indigenous communities living in Arctic regions, and to create opportunities for student and faculty exchanges. For Granger, the exchange with USN has opened her eyes to the similar global health threats facing Indigenous people in Canada and Norway. “They’ve dealt with many of the same issues with respect to assimilation and erosion of their culture and rights,” says Granger. “Add to that the impacts of climate change on their food security and way of life – as a result, they share similar health challenges.” Both countries are now working to address health disparities facing marginalized communities by prioritizing the need for culturally competent health care and targeted services, but there is still work to be done. “While Canada has a longer history of establishing policy that celebrates multiculturalism, Norway is more recent in this endeavour and the challenge involves balancing integration policies that recognize the unique needs of migrants, refugees and the Indigenous Samí people, with the country’s deeply-rooted culture of egalitarianism,” says Granger. At the same time, she says, we can learn from Norway and its well-established welfare state. “If we look to Norway as an example, it’s clear that democratic socialist policies that support income security, universal health care and public services – including child care and higher education – correlate with optimal health and wellness.” Prior to joining the Global Health program, Granger completed a BSc in Nursing and worked for over six years as a registered nurse. Her first introduction to global health was through an eight-month placement as a community health volunteer with <a href="https://cusointernational.org/" target="_blank" rel="noopener">Cuso International</a> in Cameroon, where she partnered with local NGOs to secure grants and helped to plan, implement and monitor community health projects. “I recognized that I needed to better understand the factors leading to health and social inequities and the associated challenges that exist between and within nations,” she explains. Now, as she nears the end of her exchange in Norway, she feels that she has gained a deeper understanding of these factors and challenges and, more importantly, what to do about them. “The Norway semester has reinforced the critical importance of health promotion activities in improving the health and well-being of Indigenous people and migrants, as well as an intersectoral approach to public health that considers its social determinants,” she says. Granger is currently completing the final field-work module in the semester, which provides real-world experience in the global health field, performing community mapping assessments. After learning about the integration challenges of migrant populations, she’s had the opportunity to put theory into practice and complete a short-term community placement at a migrant centre in Oslo. Looking to the future, Granger hopes to work in the area of health promotion and education. “I want to play a role in developing a culture of integration and inclusion for minorities in Canada, at the policy level and within health care services, with a specific focus on maternal health and newborn/child health and development,” she says. With this exchange under her belt, she says she will feel better equipped to meet that goal.